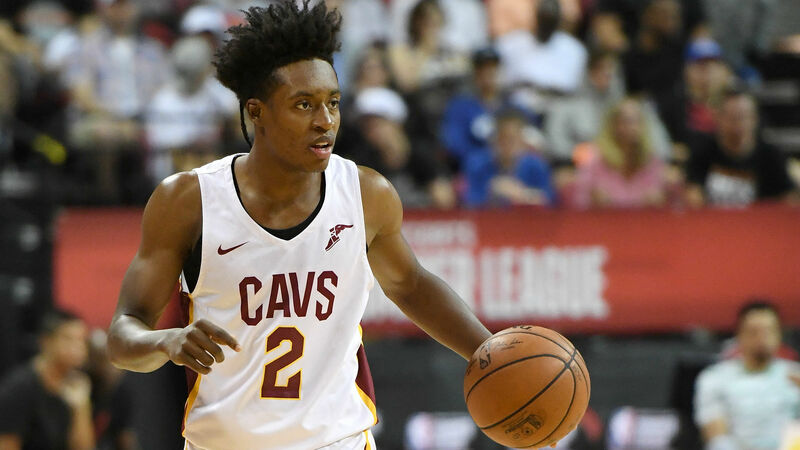 Larry Drew wants the Cavaliers to be patient with Collin Sexton. The 19-year-old guard has been inconsistent so far during his rookie season and some Cleveland veterans don’t think he "knows how to play” yet, according to an earlier report from The Athletic. Drew, who replaced the fired Tyronn Lue in late October, discussed that report when he met with reporters this week. "I actually pulled some guys to the side when we were in Orlando (on Monday)," Drew said (via Cleveland.com). "That was my exact point — having to be patient with a 19-year-old kid." Drew said he “didn’t think it was fair” for some of the team to “go at” Sexton in that way. “I want him to be aggressive,” Drew said. “He turns the ball over, I don't want him thinking about what his teammates think. And I've expressed that to the team. We cannot get down on this kid just because he makes mistakes. “It's tough enough as it is, coming in that young and to play on this level. We have to embrace him when he does make a mistake just like we embrace everybody else. It's not fair for body language to change (or) when he does make a mistake ... he looks over at me." Sexton, who the Cavaliers selected with the eighth pick in the 2018 draft, has averaged 10.9 points and 2.1 assists in 24.7 minutes per game this season. Cleveland will face the Bulls in Chicago on Saturday.